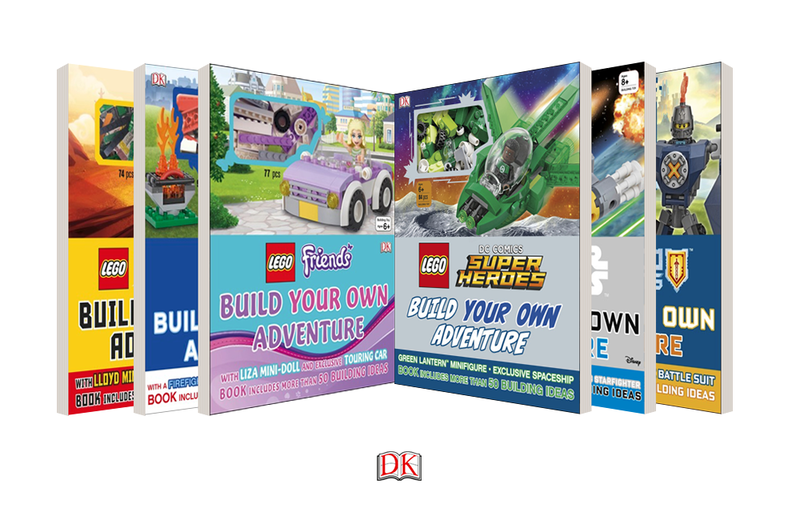 DK Publishing’s LEGO Build Your Own Adventure (BYOA) series turns the classic best-selling LEGO building blocks into building books. The concept encourages kids to build adventures of their own with “story starters.” Each themed kit includes stories, building projects, and LEGO bricks and minifigures designed to inspire kids to generate their own stories and constructions. Each hardbound is 80 pages and comes in a slipcase that protects the book and provides space for a box of related LEGO parts. The books provide a fully immersive experience into their featured worlds. For example, the LEGO Friends BYOA offers fan-sourced building ideas and bricks to build an exclusive model that appears throughout the book. Not to be outdone, the LEGO Star Wars BOYA offers more than 50 build ideas and includes a rebel pilot minifigures and exclusive Y-Wing Starfighter. Books in the series check in at a retail price of $24.99 USD and are available from a variety of online retailers. Wear your favourite Pokémon to the office, with style! Custom dress-shirt designer Original Stitch is collaborating with The Pokémon Company on a shirt line. Officially licensed pinball art becomes a decorative motif in a series of handmade lamp shades from OutsideEdge Products.